Complete the application for the enrollment of each child, and return it to the school office. Each application must be accompanied by the nonrefundable application fee, and all materials specified according to each division. A confidential interview will be scheduled to discuss enrollment. This interview is, if possible, held with both parents and students. All applicants for grades kindergarten through twelve will be given a general learning ability test. The test is approximately one to three hours in length. A grade level or satisfactory minimum score is required. The Admissions Committee reserves the right to deny admission to any applicant with or without cause. Families will be notified concerning acceptance of their child or children after the test is completed and the application materials are reviewed by the Admissions Committee. All students accepted are on academic and disciplinary probation for one year. - All students must be enrolled in Metro Christian Academy by the student’s parents or legal guardian who will be responsible for the student’s behavior and tuition. - When re-enrollment begins, returning students will receive preference. After a designated time, open enrollment will begin. 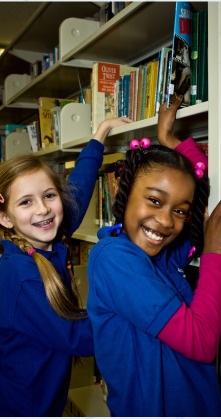 Metro Christian Academy admits students of any race, color, national and ethnic origin to all the rights, privileges, programs, and activities generally accorded or made available to students at the school. It does not discriminate on the basis of race, color, national and ethnic origin in administration of its educational policies, admissions policies, scholarship and loan programs, and athletic and other school-administered programs.